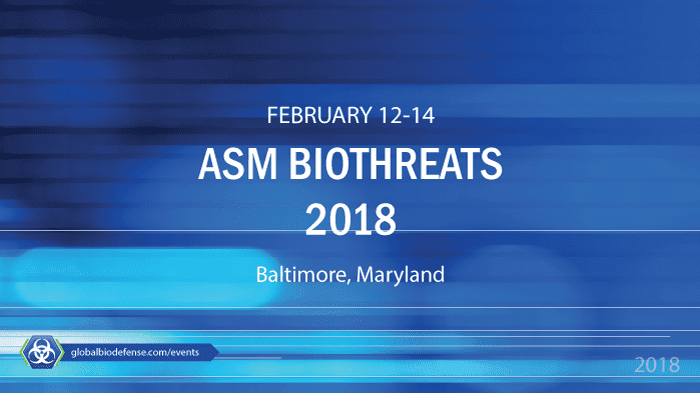 The American Society for Microbiology’s ASM Biothreats 2018 meeting is taking place February 12-14, 2018 in Baltimore, Maryland. ASM Biothreats includes tracks on high consequence pathogen research, biological threat reduction, product development, and policy. Thought leaders in academia, industry and government are gathered to present and discuss the latest developments in this emerging field. Keynote speakers include: Richard Harris, NPR Science Desk; Ilaria Capua, DVM, Ph.D., Director, One Health Center for Excellence; and Robert Kadlec, M.D., Assistant Secretary for Preparedness and Response, U.S. Dept. of Health and Human Services. Exhibits and poster sessions are scheduled for 13-14 Feb.
Stop by Booth 26 at #ASMBiothreats to talk to our infectious disease experts. Learn about our animal models and GLP compliant toxicology and safety services. Waiting for the “We Are the World” session to begin, listening to “We are the world.” What other #ASMBiothreats sessions have their own sound track? Next article Is Now the Right Time to Stamp Out Measles?